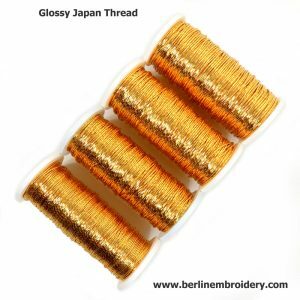 The British made Japanese threads are the goldest in colour and with the glossiest surface and the highest quality Japanese thread that I carry. 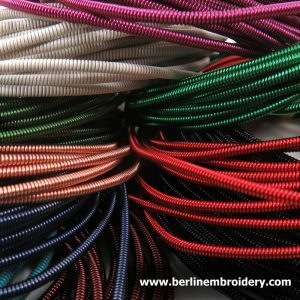 The synthetic foil wrapped around the thread core is sturdy and is unlikely to untwist and will not tarnish. Padding with felt and soft cotton. Sinking and ending metal threads. 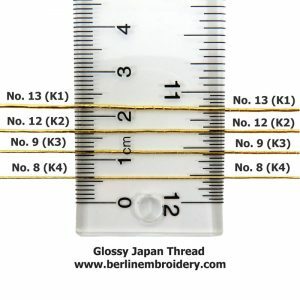 Double and single couching of Japanese thread and passing thread. 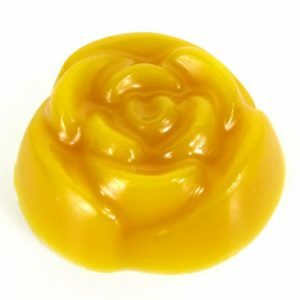 Turning corners. How to couch in rows and in circles using the bricking pattern or geometric patterns. Embellishments with couching. Underside couching that was used in the Opus Anglicanum period (church work embroideries). Couching over soft cotton padding to create patterns. Couching over card to create a raised shape. Couching as a filling pattern. 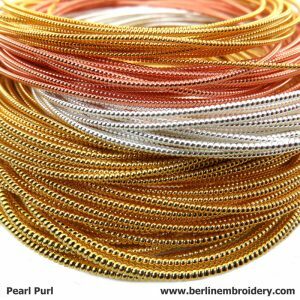 Sewing down Pearl Purl. 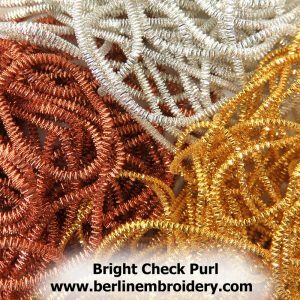 Sewing down over stretched Pearl Purl using a coloured thread. Turning Pearl Purl. Wrapping Pearl Purl. 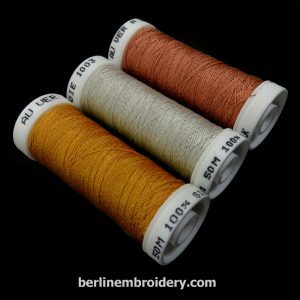 Cutting Purl threads. 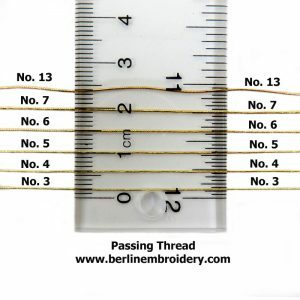 Sewing down Purl threads – chipping. 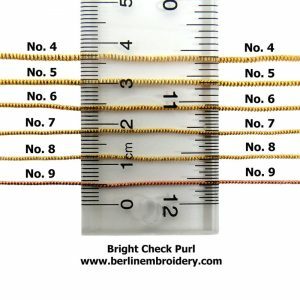 Purl Chain stitch, Purl detached chain, Purl chequered filling, Lopped Purl. Sewing down Purl threads over felt and soft cotton padding. 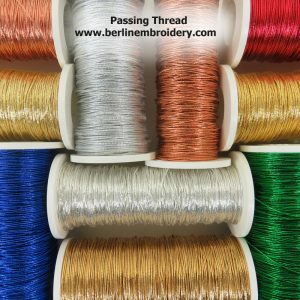 S-ing with Purl threads. 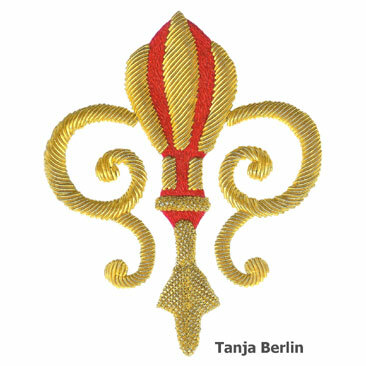 Embroidery Stitches used with Goldwork: Back stitch, Bullion Knots, Chain stitch, Chain stitch reverse, Chain stitch heavy, French Knots, Satin stitch, Stem stitch. 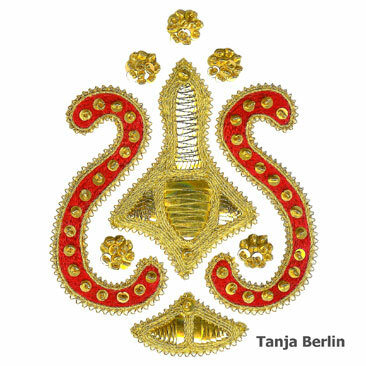 Mounting a Goldwork embroidery onto acid free board using the lacing technique. 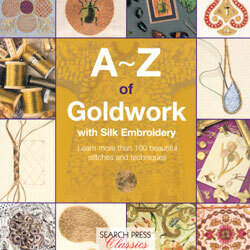 Soft back book, 126 pages, published by Search Press Classics.